A new week, and a new wish list. 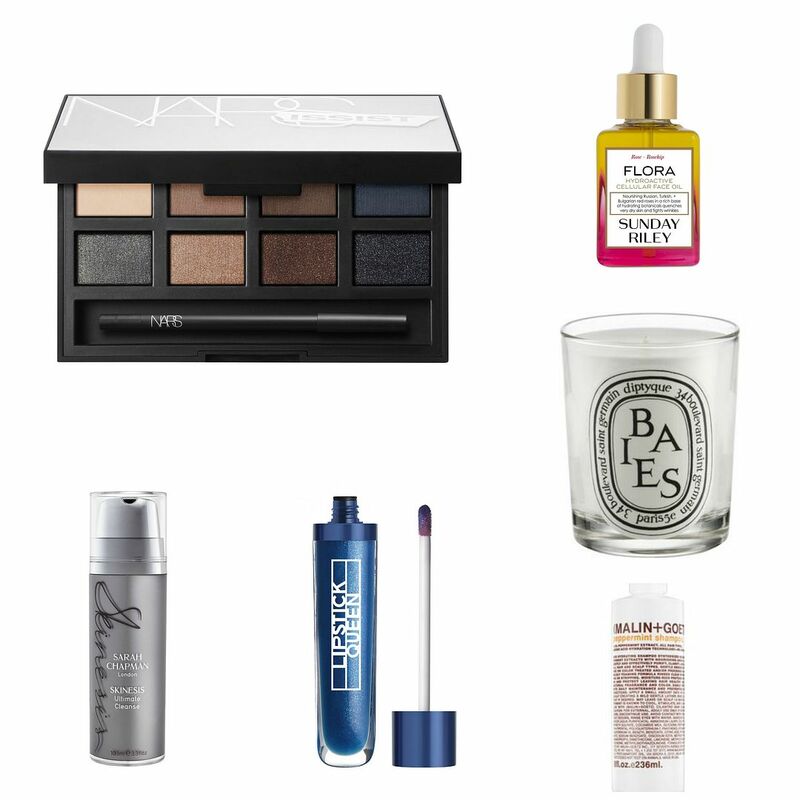 My Sunday evening was spent browsing on the Space NK website, because isn’t that just were dreams come from? Yesterday was such a rainy Sunday, which I actually really enjoyed… It was so snuggly. Chris and I started watching True Detective, which is all kinds of good, and I managed to cook loads of food for the week and do general Sunday things. Obviously the most important is the online browsing, though! NARSissist matte/shimmer palette – Hello sneaky NARS palette! I didn’t even know about you, but there you were on the website and I instantly knew I needed you. NARS is killing it lately, and this palette look delicious. Sarah Chapman Ultimate cleanse – The lovely Stacey reviewed this on her blog, and made it sound so good that I knew I needed it. Sarah Chapman does some seriously dreamy skincare, and this cleanser sounds like a skin treat. Lipstick Queen Blue Sailor Lipgloss – I did a whole big post on Lipstick Queen last week, which you can see here, but this gloss looks so good. Mainly because it’s blue and I am like a moth to a flame for a good gimmick, but also because I want my teeth to look whiter. Sunday Riley Flora oil – Ok I just need all the Sunday Riley in my life. Pretty sure this used to be called Artemis, which I prefer the name of, but my skin needs this? Malin + Goetz Peppermint Shampoo – I smelt this in store and knew I needed it. I need my hair to smell like peppermint and be all minty and fresh when I flick my hair around. First impression: Kiehl's Daily Reviving Concentrate.